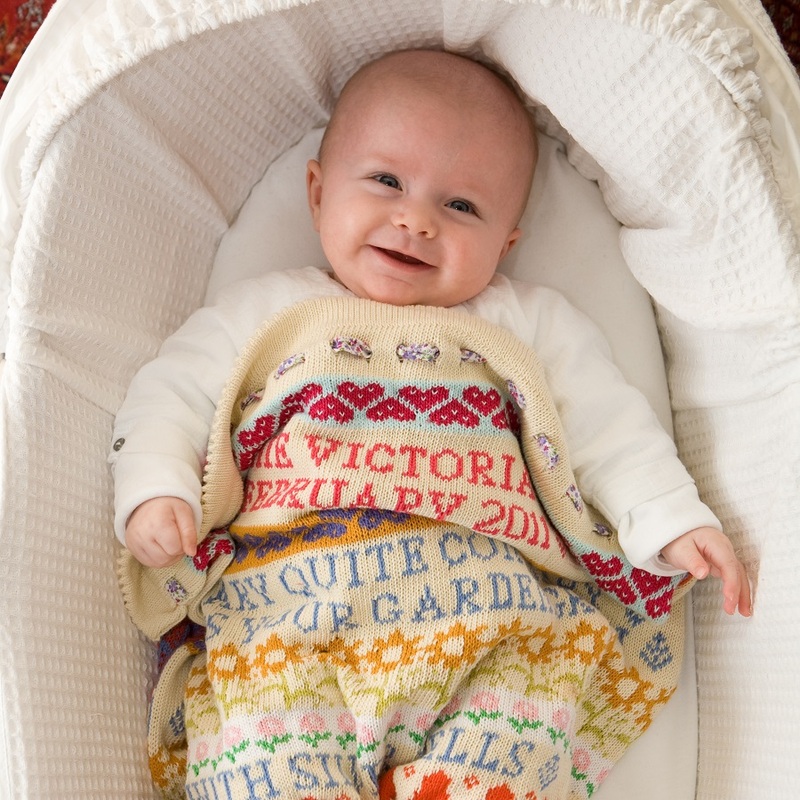 The Alfie & Betty baby blanket features motifs from the alphabet, from acorns to zig-zags. 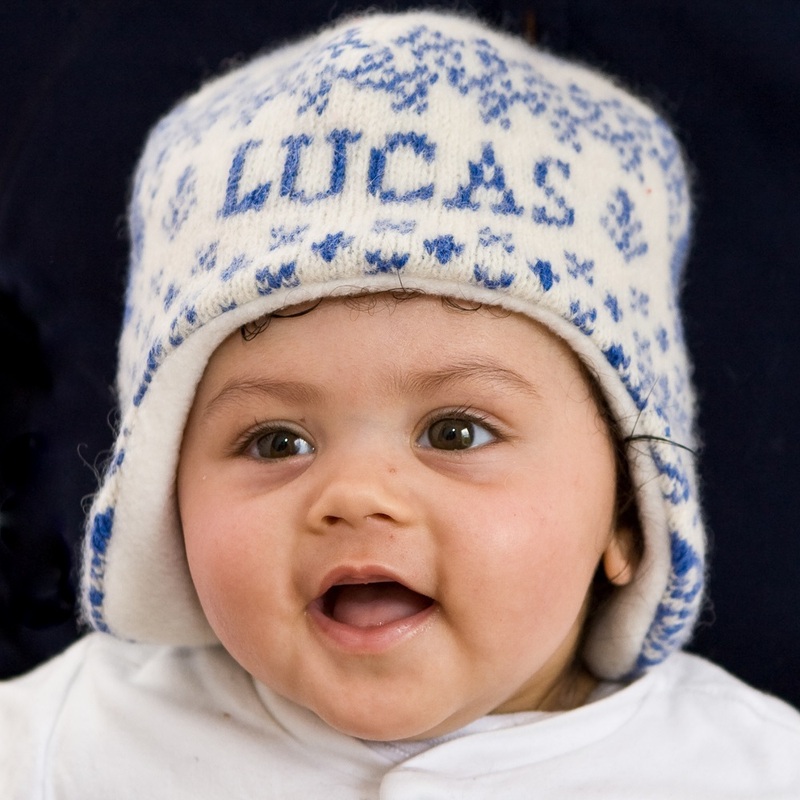 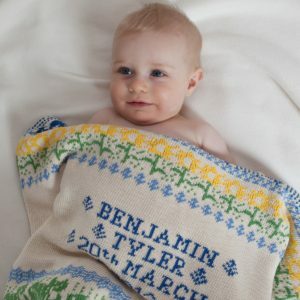 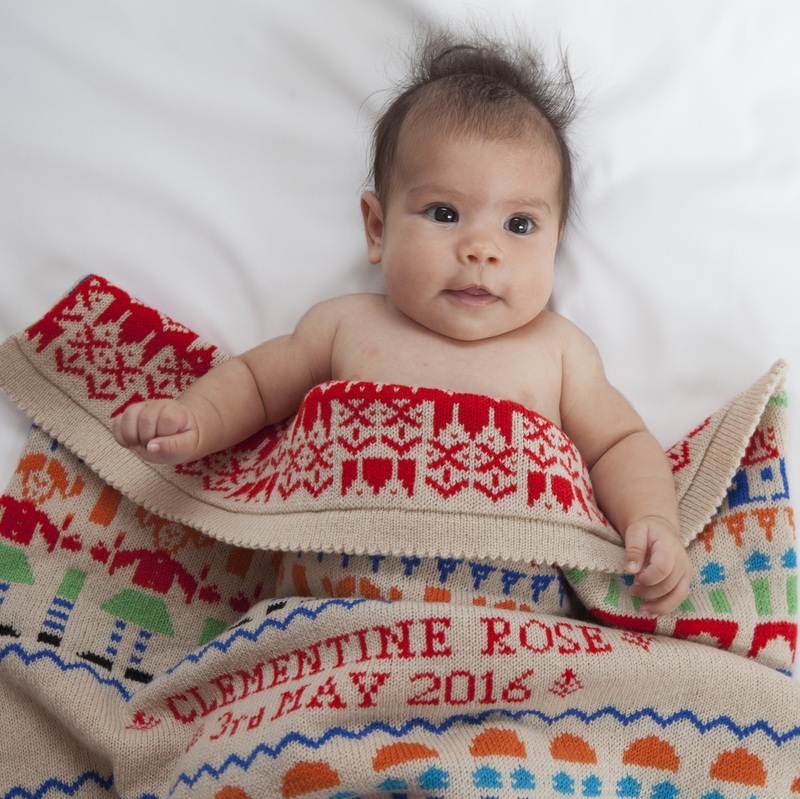 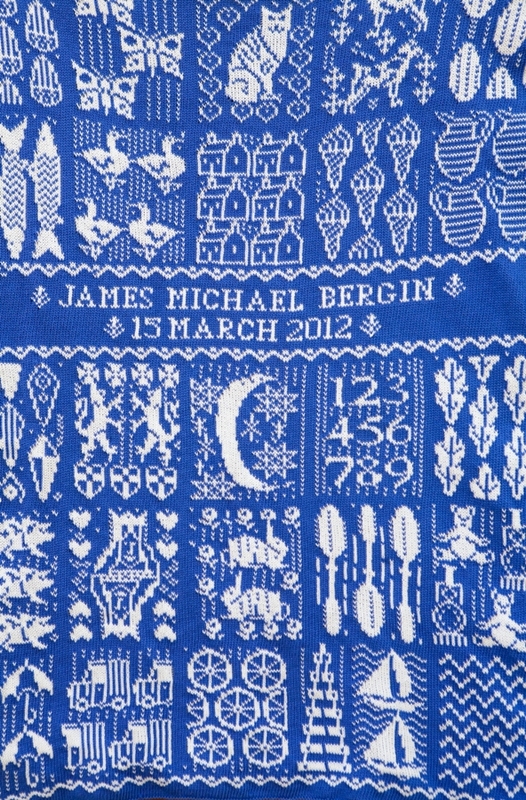 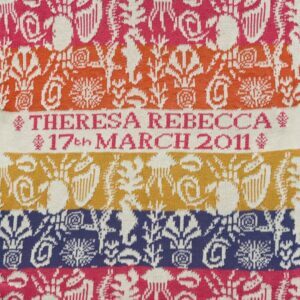 Each blanket is individually made in Norfolk, England, and knitted with baby’s name and date of birth. 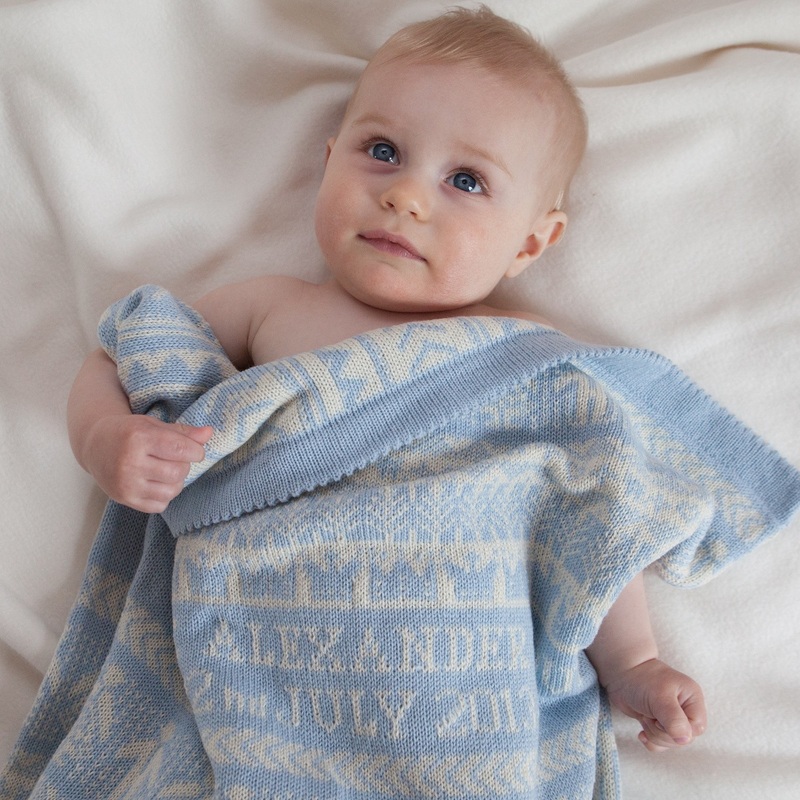 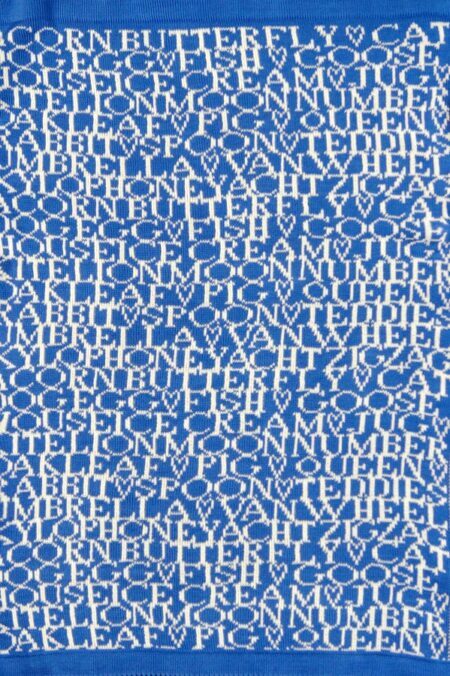 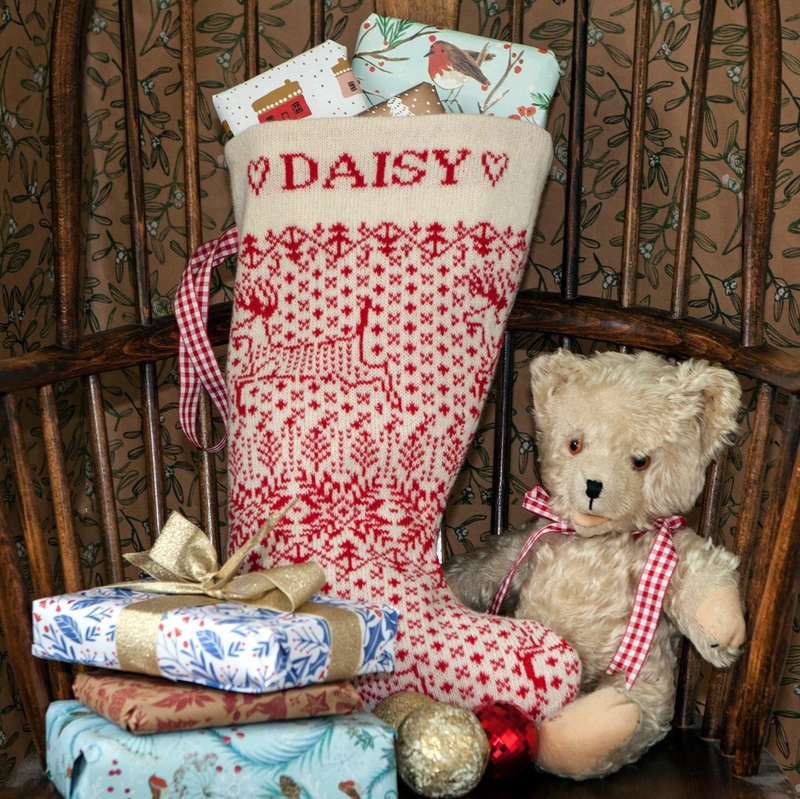 The Alfie & Betty DECKCHAIR blanket is knitted in mid-blue with cream motifs and lettering.